NASSAU, The Bahamas – It was 50 years ago, on January 10, 1967 when a new era in governing The Bahamas – Majority Rule -- was ushered in. And 50 years later, the historic golden anniversary of the occasion was celebrated on Tuesday, January 10, 2017. 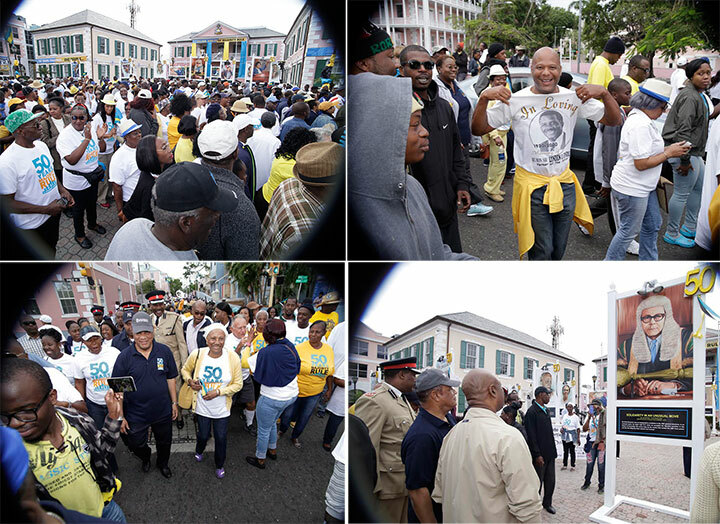 From as early as 7:00 a.m., scores of Bahamians assembled at Windsor Park on Wulff Road and East Street: some sporting T-shirts with the words “50 Years: Majority Rule – A Journey Together,” others had mini flags and other paraphernalia in the national colours of Aquamarine, Gold and Black. 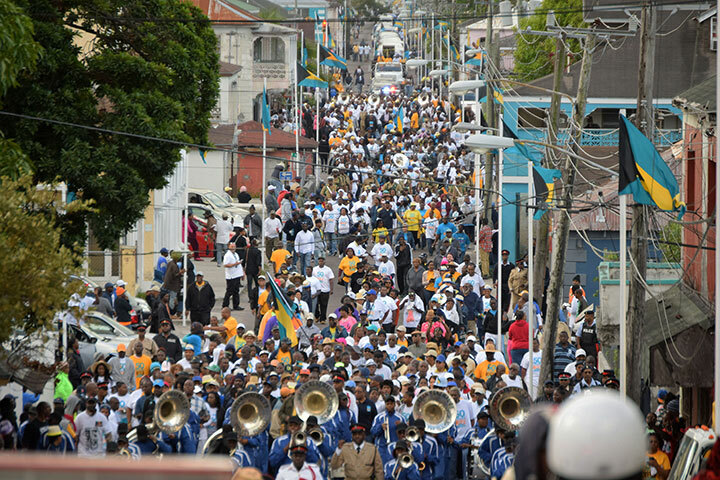 Music provided by the Urban Renewal Marching Band of a medley of Bahamian songs and other international hits set the pace for participants who braved cool and windy weather conditions. Participants were from all walks of life, including Prime Minister the Rt. Hon. Perry Christie, government officials, and Bahamians young and old. From Windsor Park, the parade traveled on to East Street north, and onwards to city centre, Bay Street at Rawson Square, where march participants encountered an impressive display of artistic renderings of those who were at the forefront of the Road to Majority Rule. The march ended at the Southern Recreation Grounds – the historic meeting place where the Majority Rule movement and other important movements took shape. A programme of celebration took place at the Grounds. It began with a soul-stirring rendition of The National Anthem, March On Bahamaland by Alia Coley. Rev. Dr. Phillip Rahming, author of the National Pledge of Allegiance, led the crowd in prayer and in reciting the Pledge. Among others who performed were Shaback and the Golden Gates Praise team, who led the crowd in the hymn, All Hail the Power of Jesus’ Name. 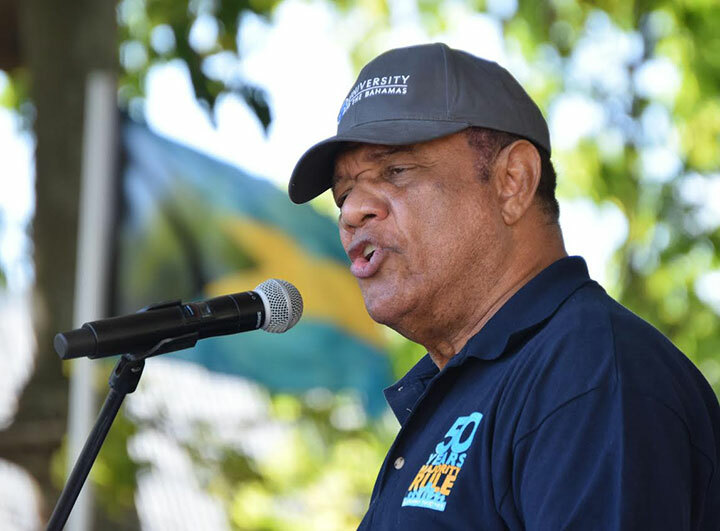 During the programme, Archdeacon James Palacious delivered a call for Bahamians to be accountable, responsible in their decision-making in the formation of their destiny, their children’s, and ultimately that of the nation as it celebrated that important day, and yet looked towards the future. Prime Minister and Minister of Finance, the Rt. Hon. Perry Christie, keynote speaker, underscored the importance of what Majority Rule meant for the entire country. Majority Rule, leveling the playing field of opportunity for all Bahamians -- came on January 10, 1967. Along with Emancipation from Slavery and Bahamas Independence, the achievement of Majority Rule is a seen as one of the most important events in the history of The Bahamas. To mark its significance, Majority Rule Day became a Public Holiday in 2014. Celebrations continued in the afternoon at Arawak Cay – concerts by popular bands and choirs, and Junkanoo Rush Out fanfare.